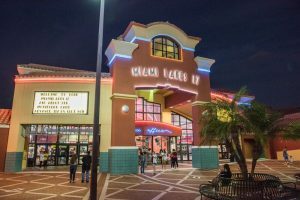 Cobb Theatres is committed to being the leader in providing the ultimate entertainment experience, while maintaining a rich heritage of family values and integrity. Consistently surpassing our guests’ expectations is a natural outgrowth of our dedication to empowering team members to deliver excellence in guest service. CinéBistro, the premiere cinema and dinner-in-a-movie concept, created by Cobb Theatres is currently being developed around the country and have seven locations operating in Tampa FL, Miami FL, Vail CO, Hampton VA and Richmond VA and Atlanta, GA.